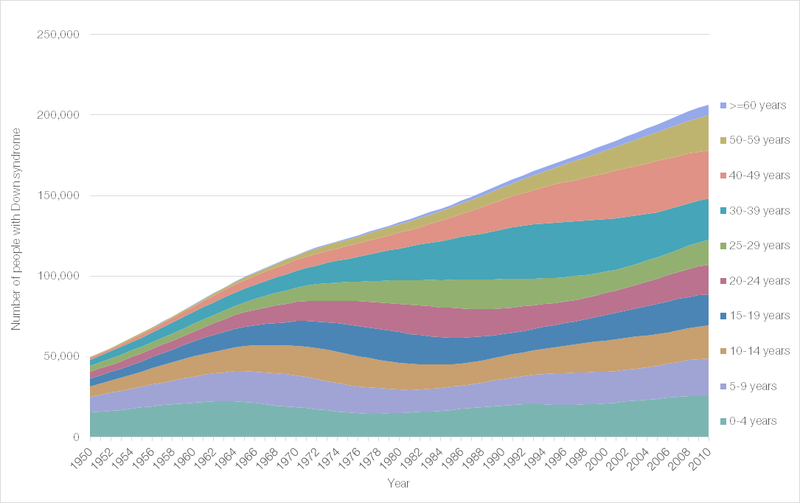 A new study, published today in Genetics in Medicine, provides the first estimates of the numbers of people with Down syndrome living with Down syndrome in the USA from 1950 to 2010, together with the first analysis of the trends in ethnic groups. Using multiple data sources and validated estimation techniques, the study estimates the population of people with Down syndrome living in the US to be significantly lower than previously thought. For the first time, a research study has explored the changing populations of people with Down syndrome living in the US over the past 60 years. Also for the first time, the study explores the changing ethnic characteristics of people living with Down syndrome in the USA during the same time period. The study authors - Gert de Graaf, PhD ( Dutch Down Syndrome Foundation), Frank Buckley ( Down Syndrome Education International and Down Syndrome Education USA) and Brian Skotko, MD, MPP ( MassGeneral Hospital for Children, co-director of the Massachusetts General Hospital Down Syndrome Program) - based their estimates on what they believe to be a larger and more accurate set of databases than previous studies have used - including factors such as the numbers of children born with Down syndrome, how those numbers have been affected by changes in the overall population and by the availability of prenatal testing, and how many individuals with the condition have survived to adulthood. The study is published today in the journal Genetics in Medicine. The study authors estimate the number of people with Down syndrome living in the US in 2010 to total 206,366, including both individuals born in the US and those who moved to the US after being born in other countries. For many years, advocacy organisations have relied on substantial over-estimates putting the population at around 400,000 - approximately double the new estimates. 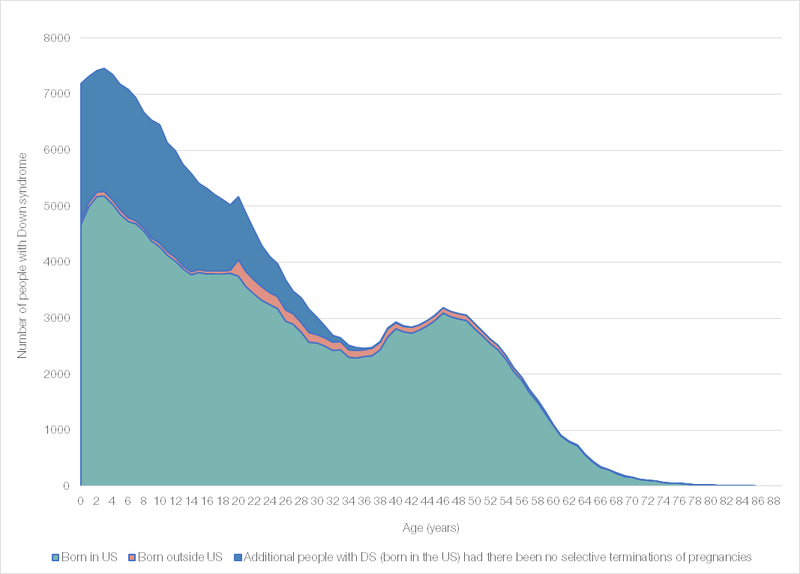 Figure 1 - Number of people living with Down syndrome in the USA, 1950-2010, by age. "Almost every book, web page and research article about Down syndrome begins with what should be a simple fact - the number of people living with the condition in the US - but what we found is that most of those statistics are gross overestimations of the actual data," says Brian Skotko. "With these new detailed estimates, we hope that policymakers can better appraise the impact of proposed legislation for this population, which has evolving racial and ethnic compositions, and nonprofit groups can better assess how representative their members are of the population at large. We also have established a crucial baseline to establish the effects, if any, of noninvasive prenatal testing for Down syndrome that has become available across the country." Brian Skotko notes, "Prior to the 1980s the medical community did not surgically correct the heart defects that were present in up to half the babies with Down syndrome. Now the surgeries are commonplace and ethically required, enabling children who would have died to lead thriving and healthy lives." "Knowing the numbers of people with Down syndrome alive and being born are important for nonprofits, governments and researchers around the world. Yet, too often in many countries there is a lack of accurate and up-to-date statistics," says Frank Buckley. "Furthermore, without good baseline data, we will not be able to assess the impact of changes such as better healthcare and new prenatal screening technologies on future populations." The study authors have produced a fact sheet on the population of people with Down syndrome living in the USA that can be freely downloaded.